Go West young man, go West. In 1871 that was the advice of Horace Greeley, the editor of the New York Times. Horace Greeley said that anyone who had to earn a living should go where workers were needed and wanted, where they will be hired because they are needed, not because someone is giving them a job as a favour. He added some conditions to his advice. Before going west, he said, a young man should learn to chop, to plough and to mow. Because of geography and shipping routes, the Icelanders arrived in Quebec City. Some made their way even further East to Nova Scotia. But that did not last. The Icelanders were late comers. The good land was already taken. Others went to Kinmount, Ontario. After a disastrous year, they, too, continued the journey West. That journey West, with many stops and starts, would continue over the years until Icelandic immigrants reached the furthest West possible, first Vancouver, then Victoria, British Columbia. This weekend, we have all gathered to celebrate that long, arduous and often dangerous journey. Following their dream of travelling to Amerika and the life it offered had a high price. Not in the fares people paid but in the lives lost. In the first stage of this saga, people died and were buried at sea. Later, they died in Nova Scotia, in Kinmount, they died on the journey to the promised land of New Iceland. These sacrifices were not made for frivolous reasons. They were made because in Iceland there was a shortage of land, a lack of opportunity, a rigid social system, and natural disasters created by cold weather and volcanic eruption. Horace Greeley had said learn to chop. The movement West was made harder by the fact that the Icelanders didn’t know how to chop. How do you learn woodsmen’s skills when your forests are dwarf birch? Greeley said learn to plow. They didn’t know how to plow. How can you plow lava deserts and glaciers? How could they learn to plow when no crop other than grass would grow? They did know how to mow, but as more than one writer has pointed out, they mowed what we would think of as short domestic grass, not prairie grass that reached to the top of a man’s hips. On the immigration forms, they called themselves bondi, farmers, but they were not farmers by any definition in the West. They were herders. Faced with the difficulties in New Iceland, many of the settlers began moving West to Brandon, and to Argyle. It is hard for us to conceive how slow travel with horses or oxen and wagons was. What made it possible for people to move further West was the building of the railroad. As the railway moved West, settlers took wagons, cattle, and equipment in the boxcars to the end of the rail line, then unloaded and drove away onto the vast prairie. It wasn’t until 1886, that the first train reached Port Moody, B.C. In 1887, the first CPR passenger train arrived in Vancouver. Some Icelanders were on those first trains to BC. We have been coming to BC ever since. Horace Greeley said go where you will get a job because you are needed, not because someone is doing you a favour. Icelanders followed this advice in the past and their descendants have followed this advice in the present. In preparing this speech, I began to think about the members of my family who have moved West. One of the first was Valentinus Valgardson. He was married to Thora Sigurgeirson from Hecla Island. They got as far as Moose Jaw. They stayed and he became both a teacher and a farmer. My father’s brothers, Earl and Allan, moved to Edmonton and Calgary. My cousins Rudy and Sandy Bristow moved to Victoria and Vancouver. One of my father’s aunts moved to Vancouver. My family marks the Icelandic trail West. Hulli Bjarnason was a successful businessman and our neighbour in Gimli. When he retired, he and his wife Gusta moved to Victoria. Their three daughters, Linda, Margaret and Carol also came West. Keith Sigmundson came to be the head of pysychiatry. Elroy Sveinsson became a salmon fisherman. Janis Olof Magnusson, from Winnipeg’s west end went to Regina, Saskatchewan, then to Victoria to work as an agricultural economist. I went from Gimli to Winnipeg, to Victoria to be a professor at the university of Victoria. There’s Glenn Sigurdson from Riverton and Heather Ireland from West End Winnipeg. 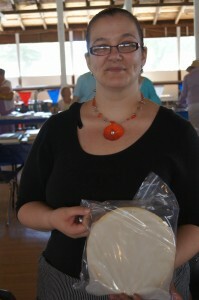 Heather can tell you about the migration from Lundar to Winnipeg and the trek west. The exodus West came from every community. This room, this city, this province, is filled with people of Icelandic descent. Richard Beck came from North Dakota to Victoria to retire. He brought with him his passion for all things Icelandic and he and his wife, Margret, created the Richard and Margaret Beck Trust at the U. of Victoria. With the income from that money, the trust has brought over a hundred experts on many aspects of Icelandic history, society and culture to give lectures. The Beck Trust has sponsored summer school courses, including courses in Icelandic film and language. Glenn Sigurdson moved to Vancouver to work as a successful lawyer and then negotiator. Yet, he recently published a book about the Lake Winnipeg fishery called Vikings on a Prairie Ocean. In this journey west, our heritage has not been forgotten. We’ve come here under many different conditions. Bob Asgeirsson told me he left Winnipeg in a raging blizzard to have a holiday in Vancouver. When he got off the train in Vancouver, there was a light, warm rain. He bought a return ticket to Winnipeg, quit his job and moved to Vancouver. Ian Sigvaldason who is originally from Arborg moved to Salt Spring Island to open the Pegasus art gallery. There are here, today, the descendants of the group of Icelanders who left Riverton and Hecla and Gimli in the late thirties and early forties. They were fishermen and boatbuilders. One of their descendants Lisa Sigurgeirsson Maxx is with us. Ken Kristjanson of Gimli tells me that a number of this group tried to get his father and uncle to join them. Many of that group settled in Steveston. There are enough of us living on the West Coast to have Icelandic clubs in Vancouver, Victoria, Naniamo, Bellingham, Blaine, and Seattle. There are endless stories of this journey West both historic and current. But one of the most fascinating is that of Christian Sivertz and Elinborg Samuelsdottir. Although Christian’s last name was Sivertz, he was a hundred percent Icelandic. Christian Sivertz and Elinborg Samuelsdottir both came separately from Iceland. They knew no English. Christian arrived in Winnipeg in 1883. Christian worked long, hard hours in Winnipeg for little pay. 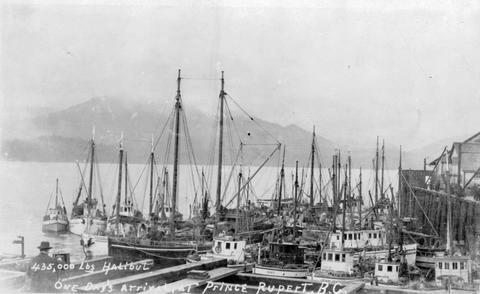 He travelled West to Victoria in 1890 for greater opportunities. He was 25 years old. After he arrived he met Elinborg Samuelsdottir who had left Iceland in 1888 with two brothers and two sisters. They had spent two years in Winnipeg. At the time they arrived in Victoria there already were about 20 Icelandic families. I mention the Sivertz family because I got to know Ben Sivertz, the youngest son, quite well. On many a Sunday in good weather, although he was in his 80s, he would leave his retirement home and walk a mile uphill to my house with a bottle of expensive gin. He’d arrive looking as neat and tidy as the naval officer he once was. He’d have a drink of gin and coffee and a visit and then I’d drive him back to his retirement home where we’d have lunch. He was so modest that I knew Ben for a long time before I discovered that he’d been awarded a medal, the OBE, for his work during WWII. It also took quite a while before I discovered that he was rich. He is the only person I’ve ever known who owned an original Van Gogh. Horace Greely’s advice, travel West, young man had proved prophetic. Ben’s parent’s trip West had given their children exceptional lives. Opportunity existed and they made the most of it. I also mention the Sivertz family because their story is so typical in many ways. They came to Canada because there was a lack of opportunity in Iceland in the 1880s. They didn’t know English. They first settled in Winnipeg.. They came to Victoria and joined a small community of Icelanders who had arrived before them. Ben says about his father, Christian, that he was proud of being Icelandic, but also, of being a British citizen. The Victoria that the Icelanders came to was very British. It was a place of coal barons who could afford to build places like Craigdarroch Castle. It was a city with aboriginal people who had a highly developed culture evident in the totem poles and art work and in their buildings. It was a city of street cars and four story stone and brick buildings. There were newspapers and aboriginal canoe races on the Gorge. There was high tea, formal dress, outdoor picnics, and cricket. When we gather as we are doing this weekend, we remind ourselves of our heritage with the nostalgia of vinartera, of kleiner, of brennavin, of clothes from the time of immigration. But there is something here, among us, right now, that is invisible that in the past and present we have carried as we have traveled West. It was an essential part of our luggage. That is the desire for education. The immigrants carried that from Iceland to New Iceland, and from New Iceland West. While literacy was wide spread in Iceland, the opportunity for an education was not available to many. According to Vidur Hreinsson in Wakeful Nights, his marvelous biography of Stephan Stephansson, when Stephan was a boy he made every possible effort to learn and longed to go to school but that was impossible for the son of a poor lodger. The extent of his yearning for formal schooling became evident on a Thursday in the fall of 1865. Stephan was outside during a storm, when he saw three people ride by the farm, heading towards the mountain pass. His friend Indridi was travelling to Reykjavik to go to school. On seeing his friend leaving for school and knowing he could not go, Stefan was overwhelmed with grief. He ran out among the tussocks and threw himself on the ground , sobbing in the rain. It was not just Stefan who longed for the opportunity to get an education. Think about the situation of those first settlers in New Iceland. They landed on a sand bar as winter was beginning. They had ratty second hand Hudson Bay tents for shelter. Their first task was to build as many log cabins as there were stoves. Nine days after landing. Wanting a schoolhouse. That, to me, is amazing. They had traveled all this distance with great difficulty, had undergone severe hardships, and now were in the midst of the wilderness in a completely foreign land and what they wanted was a school house. The settlers could only build as many cabins as there were stoves. The result was crowded, inadequate shelter. Some of the food the Icelanders were sold in Winnipeg was of poor quality. Once the lake froze over, to keep from starving, they had to learn how to fish under the ice. Yet, before Christmas, Caroline Taylor, the niece of John Taylor, opened a school in English. Thirty people enrolled. Imagine the situation. Winter, snow drifts, blizzards, no roads, isolation, inadequate food, illness because they didn’t have the cows they were promised. In Iceland, milk had been a major part of their diet. Yet, they had a school. And people struggled through the snow and cold to get there. The next year when the smallpox started, the school was disbanded. Temporarily disbanded. One hundred and two people died from the smallpox. The settlement was devastated. Yet, once the smallpox was over, Jane Taylor restarted the school, this time with sixty-three students. In the following years, Rev. Pall Thorlakson held classes. In 1885 Gudni Thiorsteinsson organized and taught classes. There was Sigrdur G. Thorarensen and Johann P. Solmundsson and Bjorn B. Olson. All of them and many others were determined to see that children would get an education. The desire for their children to be educated was carried by the westward traveling Icelanders all the way to the coast. Ben Sivertz says at the beginning of the book he wrote about his father that his father was a laborer and his mother did housekeeping. His father, Christian, finally got a job as a postman delivering mail. Being a mailman paid enough that they had their own house and they could afford to educate their six sons. Their sons did not need to become indentured servants with no future. Henry, the eldest, took teacher training and taught school before joining the army. He was killed in the war. Gus, the second son, became an optometrist and then a reporter with the Vancouver Sun. Chris earned a Phd and became a prof of Chem at U. of Western On. Vic earned a Phd and became a Prof chem. U. of Washington Sam was a bank officer in Shanghai until WWII He then joined the armed forces and after the war became an office manager Ben, the youngest son, became a Navy officer. Then he joined the Department of External Affairs setting up consulates. He became the last Commissionaire of the North West Territories. There were many others who came west. Some stopped in Brandon, Manitoba, in Regina, Saskatchwan, in Foam Lake, Saskatchewan, in Calgary and Edmonton, Alberta. Some stopped in the interior of British Columbia where they improbably became ranchers and orchardists. Others came to the coast and created Icelandic communities in Vancouver, Port Roberts, Blaine, Bellingham, and Seattle, etc. There was Gisli Gudmundsson from the Western Fjords and his wife Sigurbjorg. The lived in Wpg for several years, then went to Victoria. From there to Point Roberts. Jonas Saemundsson from Grafarkot. He came to Amerika in 1889. He lived in Wpg, then went to Victoria and finally to Point Roberts in 1904. Arni Myrdal. He emigrated with his parents and lived with them through the misery in New Iceland, the notorious small pox, scarlet fever and many illnesses that followed. His two sisters died there that winter. He went to Pembina and from there to Victoria. He went to Point Roberts. There was another Icelandic settlement that most people don’t know about at Osland on Smith Island in the mouth of the Skeena River. This is seven hunded kilometres north and the site of a large salmon fishery. It was a small settlement but it included Haldorsons, Johnsons, Philipsons, Freemans, Odddsons, Grimsons, Kristmansons, Snidals and many others. It was settled by a mix of bachelors and families between the early 1900s and 1940s. Olafson says, “Lots of wild berries,–blueberries, huckleberries, salmon berries and salal and crabapples. Mom grew gooseberries and currant and once in a while we’d have a few plums and apples off the trees.” This is a Canadian talking. This is an Icelandic Canadian talking. This is someone talking who has come West, who has adapted to a new land and made it his own. These people came West, as far West as it was possible to go, and made Canadian lives for themselves. They made a living the West Coast way boat building, running a shingle mill, logging, pile driving, sheep raising, goat raising, working in fish canneries. Their children and grandchildren got educated and became doctors and lawyers and nurses, university professors, and started their own businesses. They found good jobs and had their own families. The original settlers made a heroic journey from Iceland, to Scotland, to Quebec City, to New Iceland, always west, across the prairies where headstones in lonely graveyards testify to their journey but they reached the West Coast and they found, I believe, what they were seeking: a good life for themselves and their families. How, after all these miles, all these journeys, all this time, has this pilgrimage West worked out? At the beginning of the Icelandic emigration, there were great fears that our heritage would be lost. We would forget the golden age of the Sagas, that we would lose our pride in our Viking ancestors, that we would no longer be connected to this land of fire and ice that our distant ancestors had settled in the late 800s. Icelanders were not the only ones who these fears. On maps, you can find places like New Denmark, New Sweden, New Germany, New England. Places where everyone would stay the same and have no contact with all those other foreigners. However, the land would not allow it. The opportunities would not allow it. We are very fortunate. We came to a place where we could adapt and adopt, could integrate, but keep our identity, be proud of our history. I recently heard an aboriginal survivor of the residential schools say they took away our identity. We have seen and continue to see the tragedy that has created. Fortunately, we have managed to keep our identity and the benefits that go with that identity. Like Christian Sivertz, we can be proud of our Icelandic heritage and be proud of being Canadians. How has trek West worked out? Each of you will have to ask yourself that question but for myself coming West has provided everything those early settlers hoped for. Has our community, over one hundred and forty one years continued to carry both Icelandic values and history with us? Have we been true to the dreams of those early Western Far Travelers? I can best answer that question by pointing to my grand daughter, Rebecca, who graduates from UBC in a few weeks and two days after that leaves for Iceland on the Snorri program. Her connection to the Icelandic past and the Icelandic present is shared by many in the West. This INL conference and all of you who have come to it proves that. I hate to admit it but I’m no longer a vínarterta Icelander. You know the kind. I love going to Íslendingadagurinn, the celebration of our Icelandic heritage, that takes place in Gimli every summer. I do the rounds. The Viking village on Bill’s Hill. The Viking demonstrations of fighting with swords and spears. At the harbour, I visit the tents with one million earrings made by hand somewhere east of Dauphin or imported from India. There is an entire village of tents filled with wooden toys, pottery gnomes, scarves from the Far East, fake shrunken heads, sweaters from Korea. I never miss the sand sculptures. Or the bathing beauties playing volleyball. At the dock there’s the Something-Dunk where people sit on a slippery pole out over the harbour water and flail at each other with pillows until someone falls off. The big event of the weekend is the parade. One thousand and sixty-seven Shriners, some Knights of Columbus, people dressed up like Vikings, the local potentates riding in convertibles, some Scots bagpipers (I think they are Shriners, too), a large farm wagon loaded with real Icelanders who often are members of a visiting choir and who regale us with songs, the words of which no one understands. The parade is so popular that people start setting up chairs along the parade route two hours before the parade. By the time the parade starts, the crowd is three deep on the sidewalks. There’s the Gimli park. This is the centre of the universe. It’s a block square, has a large heritage hall, a stage with backdrops painted with scenes from Iceland, plus the pioneer cairn that was moved from third avenue. The parade starts outside of town because all the floats need a large space to assemble. There are a lot of floats. Often families are having reunions and when they do, they make up a float and march in the parade to let everyone know they are having a reunion. Just to be sure everyone understands why they are in the parade, they carry a sign made from a bed sheet that says something like VALGARDSON REUNION. They often come after a group of clowns on miniscule tricycles and in front of Shriners in glossy costumes with yellow shoes that turn up at the toes. Interspersed are local politicians reminding the local voters who to vote for in the coming election. Clowns used to throw away three and a half tons of candy but at the last parade I attended, I didn’t get to collect any candy. Some kid in New York dashed out for free candy at one of their parades and got run over by motor cycle cop and since that happened, no free candy for anyone. I didn’t think it was a real problem. When the candy wasn’t thrown far enough and landed on the road, I always just pushed the kids out of the way and said, “That’s dangerous. Stay where you are, I’ll get it.” I used to collect all the candy I needed to give out at Halloween. At the Gimli park, at the head of the parade, the Mounties whose faces have turned redder than their uniforms from marching in the heat stop and stand in a respectful manner while sweat spills over the tops of their boots. The Fjallkona, that is, the Maid of the Mountains, the woman chosen in an enclave more secret than that which selects popes, descends regally from the car with her two princesses to place a wreath at the pioneer cairn. The Fjallkona is our queen for the year and wears a royal outfit, a headdress, a green robe with ermine trim and, of course, other things. For whatever reason, an older woman is always chosen. Someone said that she is supposed to represent dignity and wisdom. I’ve always thought the Fjallkona should be the current Miss Iceland. It would improve the male attendance at the ceremonies. The dance hall is converted to a cultural centre for the weekend. Tables are set up to display those things that are culturally connected to the Icelandic community. Bags of Icelandic coffee (kaffi) are for sale. Historic pictures are for sale. Books–antique ones are sold by Jim Anderson, modern ones by Lorna Tergesen of Tergesen’s bookstore. Not just any books. Books by Icelandic and Icelandic Canadian authors like me. Logberg-Heimskringla, the oldest ethnic newspaper in Canada, has a table where members of the board and volunteers encourage the circulating crowd to subscribe. It’s a hard sell. I may be biased because I was editor of LH for a short time when it was desperate for someone to check spelling, punctuation and grammar but in spite of my having been editor, I tell people it is worth purchasing a subscription. There’s a kitchen that has Icelandic food and coffee (kaffi). I don’t go there anymore since I’ve been diagnosed with celiac disease. It’s too painful not to be able to eat vínarterta ( a six layer prune tort with cookie layers between the mashed prunes), kleinur (Icelandic donuts), pönnukökur (crepes spread with brown sugar and rolled), brúnt brauð og rúllupylsa (pickled lamb flank on brown bread), rosettes (originally Swedish, they are thin, crisp shells often served with a dab of whipped cream and strawberry jam). I can eat skyr (Icelandic yogurt) but a dish of skyr, as good as it is with local strawberries, doesn’t assuage my grief. When it isn’t Íslendingadagurinn, I go to the Reykjavik bakery for coffee. The baker, Birgir, is from Iceland. I ignore the displays of Icelandic pastries. I particularly resent not being able to eat the cookies shaped like Viking helmets with horns. Which brings us to the subject of Viking helmets. Historically accurate Viking helmets are not adorned with cow’s horns. It’s too bad because the truth is authentic Viking helmets are boring. I’d never choose one over a helmet with horns. A helmet with horns is much more useful. In a pinch it can be wielded as a weapon or used to roast two wieners at once over an open fire. Next to the Betel nursing home there is a large statue of a Viking with horns. I take a picture of it every summer. I’m not sure why. It looks the same every year. Thousands of people take their picture with it. They stand in front of it, sit on it, climb on it. Bus loads of people descend to have their picture taken in front of it. I don’t just take its picture. I also rub its knee for good luck. A lot of the fun of being an Icelandic Canadian (American) is food. You get to try svið (cooked sheep’s heads), hakarl (deep sea shark that is rotted), mutton soup, dried cod with butter, seaweed and horsemeat. I can eat all of those. No gluten in any of them. But what is the point of cleaning your plate if there is no dessert as a reward? If you’re brave enough to eat deep sea shark that has been buried in the sand for six months, then dug up for your pleasure, you should be rewarded with all the vínarterta (iced) you can eat. You can now get Icelandic beer in Gimli but I can’t drink that either (gluten). It’s enough to make me embrace the Irish side of my family. I can eat all the potatoes I want. No gluten. And Irish stew. And tea. Maybe I’ll become a potato Irishman and go to celebrations of the spud and dance to the penny whistle. My father used to put a thick coat of clay on potatoes and pop them into a bed of coals in our back yard. They were delicious. Although he was Icelandic, I thought he baked potatoes this way because my mother was Irish and he was acknowledging her ethnicity. Maybe I’ll go half-way and eat Icelandic mutton soup with baked potatoes. It won’t be the same, though. Nothing beats a plate of pönnukökur, vínarterta, kleinar, and rúllupylsa on brown bread with a pot of Icelandic coffee made in a poki (an old sock). I’ll do my best. I’ll hang onto the sagas, onto Havamal, onto LH, onto an Icelandic helmet with horns. It won’t be the same, though. Someone who can’t eat vínarterta will have a hard time convincing anyone he has Icelandic genes. Heritage is a funny sort of thing. It turns up in strange places and in strange ways. Yesterday, I took cousin Dilla and JO for supper to Amma’s Tea Room and Gift Shop. During the summer Amma’s is crowded and getting a seat is often a problem. All the summer visitors are in Gimli. In March there aren’t many visitors. There are locals about in puffy parkas and fleece lined boots and toques. They’re usually on an errand of some kind. There’s no hanging around on street corners to gossip when it’s 22 below and there’s a 20 mph wind. Some of the restaurants close down in the fall and don’t open again until Gimli quits looking like Siberia. The Beach Boy, one of my favorite hangouts in high summer because of the pickerel fillets and Mediterranean salad, is closed, but when I phoned, the owner said March 18 we’re open. I return to Victoria on March 17. Bad timing. However, I’ll be back shortly. I want to be here during the spring. Amma’s Tea Room has a different strategy. It opens for supper 5-6:30. There’s just one meal prepared. No menu choices. Last night it was veal cutlet with gravy and pasta with a cheese sauce. I couldn’t eat any of it—gluten in the pasta, gluten in the gravy and the coating on the veal. However, Cousin Dilla, knowing the way of all things Gimli, phoned ahead and asked the chef to make something gluten free for me. It turned out to be chicken salad on a bed of mixed greens. The ladies had wine. I had cranberry juice and tea. The ladies had cheesecake. I was saved from serious calorie intake because the desserts all had gluten. My virtue, what there is left of it, wasn’t voluntary. The bill was $36.00. One of the Gimli heritage delights is meeting people unexpectedly. We were just finishing up when Valdine Bjornsson (Geirholm) appeared and we had a short chat. Valdine and I started grade one together and went through all the triumphs and tragedies of the next twelve years in the same class. 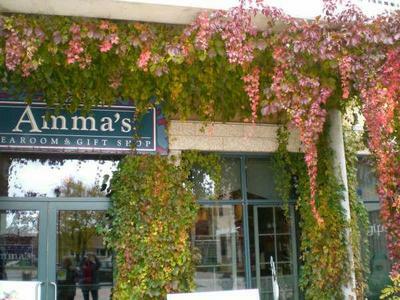 Although it’s called Amma’s restaurant there were no Icelandic dishes. Once the summer trade begins, there will be. However, tea room and Icelandic don’t quite rhyme. Icelanders are addicted to coffee, kaffi, not tea and Amma’s looks and feels very English. I’m not sure what an Icelandic café should look or feel like. Maybe wickedly strong coffee, 17 Icelandic desserts, rotten shark, dried codfish, a few sheep’s heads, and, for the less adventurous, lamb and whale meat. With chess sets at every table and couches for people to lie down on after knocking back glasses of Black Death. There is the local KaffiHus. In spite of its name, it’s food, which is quite good, is standard coffee shop fare. Sandwiches and melts and wraps and muffins. It’s coffee is excellent. Maybe that is what is left of my heritage. An occasional name. Some occasional food. However, it’s hard to separate Gimli heritage and Icelandic heritage. They are wound tightly together. The Beach Boy is owned and run by a Greek. However, the restaurant’s forte is pickerel fillets and pickerel fillets are as Gimli as you can get. It helps that a short distance away from Amma’s is Tergesen’s general store and book store. We dropped by the book store since it is one of the few places you can always get Icelandic books in Icelandic and in translation. They also have books by writers of Icelandic descent—there’s Arnason, Gunnars, Holm, Valgardson—and Icelandic authors such as Indridason and Yrsa, two wonderful Icelandic authors. And the clerk in the bookstore who chatted with us is from Iceland. Gimli used to be Icelandic. Now, it’s a bit like archeology finding that heritage. There’s the Viking statue, thank goodness. There’s Islendingadagurinn. Thank goodness. There are the visiting Icelandic groups, often excellent choirs, who come and entertain. Thank goodness. There are the charters back and forth. Thank goodness. There are usually some Icelandic flags fluttering in the breeze. If you know where to look, you can buy vinarterta. No local skyr though. A local person who used to make it for sale says that the health rules and the costs imposed make it unprofitable to make locally. In the spring the Reykjavik Bakery will open. Thank goodness. Birgir will return from his wanderings in Europe. He will make us cookies in the shape of Viking helmets and Icelandic brown bread. We wished Iceland well during the kreppa but, at the same time, hoped that it might lead to an influx of Icelanders seeking refuge in New Iceland. That hasn’t happened. It’s easier for Icelanders to go to Europe. They can get a job without a lot of paperwork. It’s closer. I’m not complaining. I take what I can get. At Lans Aux Meadows, all they found was a pin but it was a very precious pin. It proved the Icelanders had come to the New World. Maybe our Gimli pin is vinarterta. It proves that we do have an Icelandic heritage. At the heart of the heart of Icelandic North American culture is not Vikings, or horses or sheep, or fishing or Black Death or language, no, they are not the centre of our culture, nor is religion, Lutheran, Unitarian, nor the sagas, no, nope, the centre of all things Icelandic North American is vinarterta. Traditionally, it is a seven layer prune torte, with thin biscuit layers, sometimes iced, sometimes not. In the old days, people were buried with a copy of the Passion Hymns. Nowadays, they’re buried with a slice of vinarterta to take to heaven with them. There are sides, like the North and South in the American civil war, like Irish catholics and protestants, but the sides aren’t political or religious, they’re whether you eat your vinarterta iced or not iced. No icer has ever been known to convert to being a non-icer, although there have been rumours that a non-icer has been known to convert to being an icer. It was discovered in recent years, that Icelanders in Iceland sometimes use a rhubarb filling. This is aposty of the worst sort. This is the betrayal of Icelandic culture to the same degree as comparing the sagas to Classic comics. There is a reason for everything and it may be that during WWII it was impossible to obtain prunes. Desperation can drive people to cannibalism or worse, to rhubarb filling. That vinarterta is so culturally embedded made it all the more surprising that Melissa Macauley of Shorepoint Village was proudly standing behind a table laden with vinarterta. Not only that but people like her vinarterta so much that she sold all three dozen yesterday and had spent the evening and night making 15 more. If you have ever made vinarterta, mixing the dough, spreading the layers, cooking them to just the perfect texture, spreading them with prunes, building the layers, you will know that making 15 more vinarterta was an Olympic feat. She says her husband is of Icelandic background. It’s amazing the magic marriage can do. There are rumours of local women of Icelandic background who can make peroghis that stick together when they are boiled. It doesn’t seem possible but the rumours are persistent. Melissa says that making vinarterta is a labour of love. That certainly must be the case because as I stood at the table, customers came and went and she cautioned them that since the vinarterta was made only hours before that it needed to sit and ripen a bit before it was at its perfect best. But, from the look in the eyes of the customers, ready or not, the vinarterta was going to disappear with a mug or two of coffee. Melissa is serious about her baking. She has a site on the internet www.sweetsbym. Ca She also makes birthday cakes and wedding cakes but those don’t underpin an entire culture, don’t bring men to blows over whether their cake should be iced or not iced or, heaven forbid, it should have cardamom in it. Personally, I’m icer and no cardamom. When I was a teenager, a quarter of a cake (now 8.00) could disappear with two cups of coffee. Those were, of course, the days when I had a twenty-eight inch waist and a bottomless stomach.